This hinge makes doorways bigger! No need to take off doors to move wheelchairs and large items in your house. 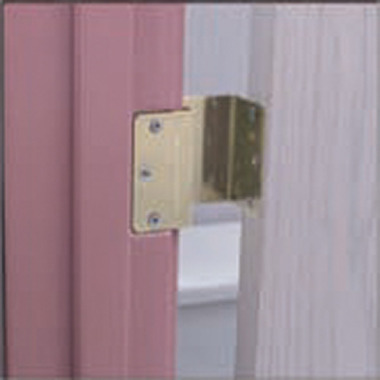 Just install these hinges in your existing door and frame. The door swings completely out of the way, adding 2” of valuable clearance. 3 per pack. Made of brass-plated steel.